I learned about Melinda’s research, the subject of the first post on Cool Stuff Students Do, a few weeks ago, and it inspired me to gather more information about student activities that I never hear about. Now that I’ve collected other stories (many on less academic topics) for future posts, it seems fitting to kick off this new feature with Melinda’s description of her travels for thesis research. I received support of my MALD thesis research through the Dean’s Research Fund. The funding allowed me to travel over the winter break to Ghana, where I was able to interview key Muslim and Christian religious leaders in Accra, Kumasi, and Ho, three of the country’s main cities in three different regions. This primary data will give depth to my analysis of the role of religious leaders in promoting nonviolence and addressing conflict in society, and of the challenges they face in doing so. The financial support was instrumental in facilitating this opportunity to address such a profound issue in my Fletcher capstone project. I’ve included a photograph of myself with the National Chief Imam of the Republic of Ghana, Sheikh Dr. Osmanu Nuhu Sharubutu, an amazing and highly respected figure whom I was able to meet during my trip, and whose office hosted me most graciously. I met the colleague who facilitated my work, Alhaji Khuzaima Mohamed Osman, the Executive Secretary for the National Chief Imam, during my internship last summer with The Carter Center. It is only through that relationship that I was able to conduct the research I did in Ghana. 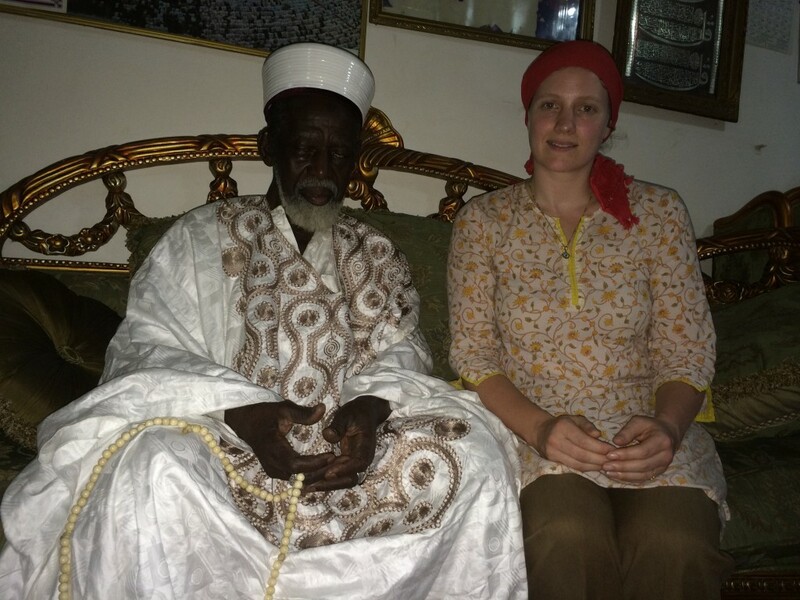 In addition to my research, while in Ghana I was on the English language Islamic television program, IQRA, hosted by Sheikh Imam Muhammad Hussaini Bagnya, who is also a graduate student of governance and leadership at the Ghana Institute of Management and Public Administration. I appeared twice, the first time on a program of solidarity for Christmas, and the second on a program discussing coexistence and tolerance with an interfaith panel of guests. I was also in attendance at the Office of the National Chief Imam’s New Year’s Eve event, where I was invited to address the gathering of community and respected religious scholars and leaders with a solidarity message. Thanks, Jack! I’m glad you liked it. More cool stuff to follow! Hearing about Melinda’s experience in Ghana is both inspiring and instructional, particularly with regard to planning thesis projects and MALD program details. For example, I’m now eager to learn more about the interviews and the Dean’s Research Fund. Great start to the new series. Thanks!